Willis Earl Beal isn't exactly deprived of a backstory. A semi-mythologising malcontent, a wanderlust-ridden experimental soul outsider plagued by life-long anxiety, insomnia and occasional poor judgement, he has something of the martyr of self-fulfilled prophecy about him. Following another spell of homelessness, a sour departure from XL/Hot Charity, struggles with alcohol and his arrest following a sudden assault of a heckler at a show in Amsterdam, Beal has trod a decidedly troubled trail on the road to apparent self-deliverance. Offering a super-exposed jaunt through the darker recesses of his recent past, Noctunes makes for an impossibly fitting album title, at the very least. Hoping to hone the crestfallen solipsism of last year's self-released Experiments In Time (a disjointed yet not unremarkable effort), Noctunes reveals Beal stumbling bleary-eyed from another uninviting bedsit in an anonymous crook of sleeping America, rapt in the throes of somnambulism. Forging a limbo netherworld from a homespun meld of strings, balmy synth drones and his beatific flow of understated revelation, opener 'Under You' immediately dispels any expectation of masquerade or ambiguity. "And I've seen behind the scenes. Yes, I know," declares Beal, the track's subtle tapestry of twinkling, oracular kismet conjuring Bernard Fowler on Philip Glass' 'Changing Opinion', Angelo Badalamenti re-imagining the most private passages on Blue Nile's Hats and chief ode to perfect oblivion, 'How To Disappear Completely'. Admissions of indignity and realisation often go hand-in-hand throughout Noctunes. Highlight 'Love Is All Around' references Beal's partiality to coyly sporting a Zorro-style mask when presenting himself to the industry he has often took issue with. Time and again he recants little extracts of insight that saturate the spirit of the album with a warm veneer of mettle. It goes some distance in tempering the harsher lines and petitions on the likes of the beautifully barren 'Flying So Low' ("The mountains rise and I fall into the ocean/The monsters know that I don't got my potion"), and 'No Solution' ("If I jump in the lake it won't make it alright"). Bravely illuminated by the blushing cinders of lonesomeness, trauma and squandered love, a solitary listen to Noctunes certainly makes for a voyeuristic encounter. Whilst its pace and tonal uniformity (restrained and sparse overall) ensures it feels a little more like a protracted primal scream for those sensitive of hearing, rather than an album divvied by twelve standalone songs, two efforts here proudly tower – chest firmly out – above the rest. The crushingly heartfelt 'Stay', and 'Start Over' are two masterfully posited entreaties that – especially being shadowed by cuts bearing the imprint of Jandek, Sharkula and early Suicide – come to define the at times powerfully candid romanticism and faith at the quietly-beating heart of Beal's craft. 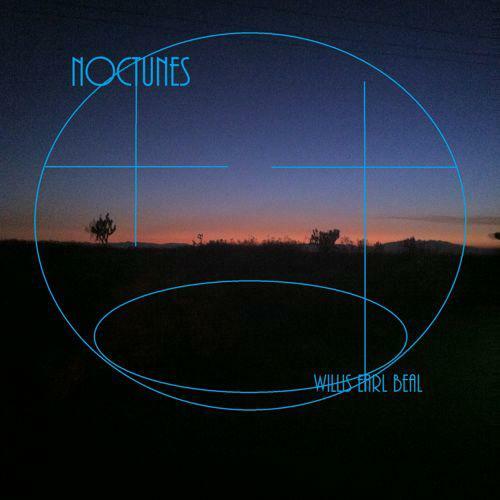 Noctunes repeatedly feels like a homecoming of sorts. It isn't, however, without its shortcomings: it's a tad prolonged (three tracks here could easily go) and there's a tendency for Beal to get comfortable in his compositions, not least in the aforementioned marriage of synth strings and dronescapes. The bigger picture here is all but watertight: in wrestling with the ghost of memory and a smog of backwashed thoughts, Beal is justified in calling Noctunes his only honest record. In quarrying the hope innate in his most vital essence, he has excavated something quite vital.